Nursing Careers Australia is an Australia Education provider that specialises in helping overseas Nurses become registered Nurses in Australia. Since 2004, the principals of Nursing Careers have educated, registered over 300 nurses in the fields of nursing, pharmacy, and physiotherapy. Relocating to another country can be a daunting experience but thanks to founding directors, Allan and Maria Pittman, creating a new life in Australia has never been easier. Having lived and worked in Australia, Asia, Europe and the USA during the past 35 years, we understand the challenges and rewards that can come from changing careers and countries. A shortage of qualified nurses in Australia means that fantastic career options in the nursing industry – and the lifestyle that comes with it – are greater than ever before. Allan was born in Australia and lives with his wife Maria near Coogee Beach in Sydney. Allan has lived overseas for the past 12 years, including New York, Chicago, Paris and London. Allan has held several senior management roles for prominent blue chip American companies such as Kimberly Clark, Pepsi, and Burger King. After 12 years living and working overseas, Allan moved back to Australia to manage a large group of medical centres, which were subsequently sold to a large healthcare group. Allan’s main role in Nursing Careers Australia is to provide invaluable advice on education and training. Long-standing relationships with key government departments, educational institutions and healthcare employers insures successful placement for nurses looking for a career in Australia. In 2004, together with Allan, Maria joined her husband Allan in establishing a company that recruited, educated and trained overseas nurses for leading healthcare employers in Australia. Marias main role in the company is to ensure that the nurses are looked after as if they were her family. Having immigrated three times in her life, she understands the obstacles and concerns that people often face when moving to another country. 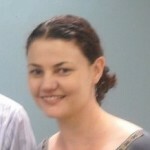 Louise is a Registered Nurse with over 15 years experience in the Australian nursing profession. Louise has worked in both the Public and Private Hospital system in Australia and worked in specialty areas such as Oncology, Palliative Care, Chemotherapy, Gynae & Gynae-Oncology and Surgical Nursing. Louise has spent the last 4 years working with International Nurses, overseeing the bridging course for Overseas Qualified Nurses. She understands the unique challenges faced by International Nurses and provides support to help them integrate into the Australian Health Care Setting. Fluent in English and Hindi, Abhijeet was born in Delhi, India and currently lives in Sydney, Australia as a permanent resident. He has travelled extensively throughout Australia and Asia Abhijeet is responsible for all of our IT concerns, and providing a communication link between our offices in Australia and India. Abhijeet also works with Maria Pittman in the successful relocation of our nurses. Born in Melbourne and raised in Perth, Veda is the first generation of migrant parents who moved to Australia from the Seychelles in the late sixties. Having lived and travelled throughout Australia, Veda now resides near Byron Bay, in Northern New South Wales. Veda started her publishing career as a health writer for numerous magazines, and went on to work as a contributing editor and regular columnist for titles including Good Health, Better Health, Nature & Health, Pure Health, and Get Into Life magazine. Most recently, Veda has consulting to assisted living facilities and aged care centres such as Evermore and Sanctuary Redhead. Veda’s role with Nursing Careers Australia is to manage all the marketing material, which ranges from our online newsletter and Facebook group to maintaining and update website copy. Australian Internet company Nextwave Media has more than 600 successful projects and 11 years experience working in the realm of digital media. From website development and email marketing to graphic support and website hosting, Nextwave provides all of our online communication solutions. Nextwave has developed a range of software packages that enable Careers International to communicate with its overseas nurses. Despite working with some of Australia’s most prestigious companies, the professionals at Nextwave are as personable and caring as the rest of our team.